We'll be in Hong Kong Sep 9-11; remarkably, it will be my first visit. As you'd expect, I jumped onto Google looking for hotels that would be convenient to the rail line from the airport. Yikes! That's the airport on the far left, on the Airport Express Line (AEL). Don't airport lines, where people are hauling luggage, need to be designed so that they plug into the network with relatively few, well-designed transfers. As readers if this blog know, zero transfers is unrealistic and sometimes you even need two to get to remote corners of the network. But five? Of course the answer may be that the metro doesn't want to compete for airport trips. Are there other options I should use if I want to stay in, say, central Kowloon (three transfers!)? So back to my travel needs. If anyone knows a fantastic quietish hotel in the <US<300/night range that is easily reached by transit, with luggage, from the airport, please let me know. If certain transfers on this system are easier than others, so that the access is easier than it looks, let me know that too. Comment moderation is off. Feel free to chat among yourselves about this. how much should agencies explain their planning thoughts? 32 Responses to hong kong metro: five transfers?? I’m especially baffled that the airport line runs express past an obvious transfer to the red “TWL” line at Lai King Station. That line goes right through central Hong Kong. It would seem to be a no brainer to have an easy transfer to it. I’m curious to find out what your experience is when you’re there. There are shuttle buses from the downtown terminal that go to all the major hotels. Don’t have the exact details handy but should be easy to look up. Another option is the hotel in the airport itself. A look at the official map shows some kind of transfer between “Hong Kong” on the airport line and “Central” on the main subway network, and Google Maps shows that those stations are a couple blocks apart, which might be a bit of a walk with luggage. But Google Maps also shows that Tsing Yi should be a fairly easy transfer (the Arport and Tung Chung lines actually share tracks for most of their length). And once you’re in the main MTR system, many of the transfers are cross-platform, and sometimes, there will be two adjacent transfer stations so that you can get cross-platform transfers in both directions. Absolutely the HK metro is not well-designed for those not living in Kowloon or Hong Kong Island. You can generally get a one-seat ride from the airport to most anywhere in HK on the bus system; a two-seat ride tops. The HK metro is similar to NY in that different (and competing) companies used to provide service and were later integrated; the two systems don’t always play well with each other. For example, the “ERL” and “WRL” lines are part of the old Kowloon/Canton Railway, which still provides across the border into Shenzen IIRC. (The map is horribly not-to-scale, BTW; the New Territories towns in the north are much further away from downtown than they appear). These lines have incompatible rolling stock with the resto of the system, and are functionally more similar to an S-Bahn than to an urban metro. One other distortion on the map is that the map makes it appear that Hong Kong island (the southernmost island, only the northern half of which is shown) and Lantau Island (where Disneyland are) are in proximity; they are not. When I visited my in-laws in Yuen Long (north of Tuen Mun in the NW corner of Hong Kong, and not visible on this map fragment but on the WRL line), I almost never used the WRL to get anywhere. Within the northwest New Territories, the light rail was the most convenient transit mode, and for reaching Kowloon and HK Island, the bus was far more useful than the train. I lived there for about eight years and it seemed to me that very few people actually took the airport line. My family and most of my relatives would elect to use one of the several frequent airport buses. Although they were slower, they serve a lot of places without transfers. The official map ( http://www.mtr.com.hk/eng/getting_around/system_map.html ) shows a transfer from the Airport Line to the Tsuen Wan Line at Hong Kong/Central station, so you can reach central Kowloon with only one transfer. Also not sure how you’re getting five transfers to Ma On Shan. AEL->TCL->WRL->ERL->MOL makes four transfers. The older MTR-built lines (ISL, TWL, KTL and TKL on your map) all have cross-platform transfers wherever they meet, and always meet with two transfer stations so that all possible directions of transfer can be cross-platform. The WRL/ERL transfer at Hung Hom is also cross-platform. Transfers involving the Airport and Tung Chung lines are not so convenient though. A way you can get to Ma On Shan from the Airport through five transfers is: AEL->TCL->TWL->KTL->ERL->MOL. I had the same thoughts when visiting Hong Kong for the first time earlier this year. If you choose a Kowloon hotel you can get the AEL to Kowloon and then take the shuttle bus or a taxi to your hotel – the area round the station hasn’t been developed yet, so don’t bother trying to walk away from the station. Alternatively you can use one of the AirBus services direct from HKIA to your hotel without interchange. Don’t forget to buy your Octopus card as you exit the Arrivals hall at HKIA; you’ll need to put additional money on to it if you take the AEL as the pre-purchased value is less than the fare! And don’t miss the Lights Spectacular each evening at 8pm; best vantage point is from the Kowloon waterfront near the Star Ferry terminal. First, as far as I can tell, MOL only requires 4 transfers, but the routing is pretty…roundabout. There is also very extensive bus service to the airport. The Airport Express is envisioned as a premium service (much like Heathrow Express) that primarily appeals to business travelers and non-price sensitive Western tourists. I’m quite sure (given the price) that all airport workers and most locals that aren’t high-end business travelers take busses. And the tourist and business traveler market is more or less exclusively in Central or Kowloon, so the service price/convenience and stop location is a good fit for their target market. Note also that, while not shown, the transfer from the Hong Kong stop to the Central stop is actually quite easy. While Kowloon is where all of the action is (imho – Central and Wan chai/Causeway Bay are more about shopping, Kowloon has more of a feel of “true” Hong Kong), you might consider staying on the actual Hong Kong island for no other reason than to use the tram system and light busses, both of which have vanished from almost all other industrialized countries. The subway system is not actually that useful for tourists, as most of the interesting places to visit are more accessible via trams or the Star Ferry than the subway. Hotel-wise, for $300 a night, you have a good number of options. Quiet and transit-friendly are two things you will be trading off – the only quiet places in Hong Kong are not going to be anywhere near transit. A few recommendations that try to combine both would be Hyatt Regency Tsim Sha Tsu, The Park Lane, or The Mercer Boutique Hotel, although there are so many hotels in Hong Kong that there are many more good options. Interestingly, there are almost no hotels next to the Airport Express stations, so you may be stuck with a taxi for the last mile if you have significant luggage. According to this wikipedia article, a few extensions and connections are planned or under construction. They appear to resolve many of the issues with multiple connections and spurs/branches, but none touch the airport line specifically. The map of the proposed extensions and connections shows that the WRL and MOL are interlined to create an east-west line, and this includes a connection to the KTL just east of Jarrett’s map, and also that the ERL is extended under the harbour to Admiralty. Even with these connections, going from the airport to Sha Tin takes three transfers. The proposal map suggests (to me) a future interlining of TWL with TKL (on the east island), allowing the KTL to extend to Central. I haven’t been to Hong Kong, but this also appears like it should help reduce to 2 the number of connections needed to get from one line to any other line. Glad to hear that you are travelling to HK! It is a great place for a person with a passion for transportation (and shopping!). When I travel to HK, I usually stay at the Harbour Plaza (North Point) Hotel. It is very quiet, great accommodations (foreigner-friendly and famous? ), and only ~1 block from the main MTR line in Hong Kong (MTR Island line). There are nice small restaurants like the MX food chain nearby as well as the famous double-decker tram lines. If you look at the map of the MTR, the hotel is located near the Quarry Bay station. I don’t know your trip plans, but it’s easy to access HK’s CBD, Kowloon’s CBD, and the backside of Kowloon all from Quarry Bay. According to the website, your stay from Sept. 9-11 will cost you around HK$1080 per night, which is around US$140. 1) MTR AEL: If you take this, it is only one transfer at the Central Station. Once on the Island line, you travel east to Quarry Bay station. You should note that while you may take many transfers during your stay at HK, those transfers are VERY convenient. The MTR is very conscious about people’s need to get from one point to another on time. 2) Hotel shuttle bus: The Harbour Plaza hotel has this shuttle bus for ~US$17 per person. It would take you around 1 hr to reach your hotel and has intervals of every 30 minutes. That 1 hr was probably one of the most scenic trips I have taken, as it takes you through the different neighborhoods of HK. So that’s what I have for your travels. I hope you have a great and safe trip in HK! The good thing is that most HKers are bilingual and all almost every important sign has English text. What is not shown on your map, but on other maps is that there is a connection between Hong Kong station of the AEL and Central station on the blue/Island line. All of northern HK island, where most of the large corporations are, can be accessed in just 1 transfer! Transfers are relatively inconvenient in Hong Kong, as you will see. Missed a train? Frequency can be ~2 minutes with MTR trains! It is really only 4 🙂 Still, that is okay as those lines do not serve as many people and are more for locals to get to work rather than travellers to visit. If you go there, you’ll notice mainly residential “pencil-towers.” While huge businesses and shopping malls exist everywhere in HK, the Kowloon CBD is centered south of Mong Kong station. Hong Kong’s CBD is around Central, Admirality, and Wan Chai stations. If you look at the MTR map, you’ll see that lines (including the AEL) efficiently go to those areas with few transfers. This is because it’s important for everyone, locals and visitors, to access them. This doesn’t dismiss the need to better connect the system to the airport, but there’s just simply less of a demand. Construction is already underway to link the WRL and MOL (which will together be called East-West Line). This will effective reduce the number of transfer from 5 to 2 when it opens in 2018. A long term plan is to link the TCL and ERL at a new Exhibition station on the Hong Kong Island. Construction of the ERL extension is already underway. A plan to link TCL and eastern portion of ISL is currently under discussion. I stayed at a Holiday Inn Express in Causeway Bay that was across the street from the subway and just one transfer from the airport. It was a nice, recently built place and the neighbourhood is really active. Literally across the street from the MTR station, Causeway Bay. The transfer at the Airport rail station is a really long walk underground, so bring wheeled luggage. When you leave, you can check in for your flight at the airport train station. Your luggage will be sent to meet your flight and you can spend the rest of the day touring without hassle. Now multiple people have mentioned this already, but the cheapest, most convenient way to and from the airport from outlying areas of Hong Kong is the bus (although you do sort of have to know your way around). Transfers are very convenient on the MTR – pleasant, air conditioned, and the wait is never longer than 4 minutes at night. Transfers through passageways have moving sidewalks as well. The bus system is very hard to navigate though if you’re out of town – schedules only post how often a bus comes, and I’ve never seen even a partial map of the network. There are also no free transfers between buses and trains (I believe there is a small discount) but that’s usually not an issue since most rides on either mode come out to around USD$1. As you can see the airport train arrives on Hong Kong island at Central Station, and there is an underground connection between the airport line and the island lines. It’s a long walk between them, but the connection is designed for people pulling wheeled luggage — you won’t have to carry your belongings up and down stairs. A hotel near any station on Hong Kong island is convenient to the airport by subway/train. Hong Kong station is connected to Central Station, as previously noted, though it’s some walk. The other transfers are not a problem; everything’s very high frequency and none of the other transfers involve long walks. Just get a hotel next to some station, you’ll be fine. Yes, I am saying that even more transfers than you usually like are FINE. Five transfers, no problem. *But only on high-frequency rail*. Nobody would tolerate it with a bus or with low-frequency service. The fastest and cheapest way to anywhere from the airport is to take a bus from the airport to Tung Chung station – there are many buses that do this, and they’re very cheap (less than HKD 5 late last year). From there, you can access the entire MTR network, which allows easy connections. Going into the New Territories? Change at Lai King. Going to Kowloon or Hong Kong? Get off there. As for hotels, if you’re on a USD 300 a night budget, you’ll be able to get pretty much anything that isn’t flagship. A good hotel in a fairly quiet area is the Hyatt Regency Sha Tin – it’s less than USD 200 a night according to what I just checked – and it is directly accessible by MTR at University station. However, this requires three changes at Tung Chung, Lai King and Kowloon Tong. I’m surprised that nobody’s yet commented about how the relatively cheap cost of taxis (speaking globally) affects mode decisions, especially for tourists and expats. I — and, I expect, many others — would most likely stay either Hong Kong side or Kowloon side. The trick there is to take the Airport Express to whichever side of the harbour you need and then jump in a cab with your luggage. And don’t forget that you can take care of all the check-in formalities and drop off your luggage at the Hong Kong Airport Express station before you even get on the train. That’s a big win for convenience. NB: It’s probably not in your price range, but the Four Seasons is connected to the Hong Kong Airport Express station via the air-conditioned, undercover IFC Mall. It also has the best swimming pool in HK, right under the second tallest building and overlooking the harbour. I actually loved the Airport Express line. It may not be great for accessing outlying areas in what used to be called the New Territories, but it is optimized for heading downtown. On the downtown end, there is a major terminal with hotel shuttles & taxis that will get you where you’re going. On return, you can check-in to your flight & check baggage at the same downtown terminal and not worry about check-in lines once you get to the airport. MTR “Interchange” stations are designed extremely well, so much so that you usually just get off the train on one line, and walk directly across the platform to another line. To enable this, the lines are “interlined” so that two stations act as the transfer points for many interchange points. I highly recommend you try transferring at Mong Kok/Prince Edward or Central/Admiralty, it’s a very pleasant experience. Like many people have already said, there are direct bus services from the airport to many parts of the city. For example, the Citybus A21 will take you directly to Hung Hom Station in Kowloon, but it will take about 1 hour and 20 mins. Tip: the tram on Hong Kong Island costs the equivalent of $0.25 USD for a ride. Google Maps seems to have Hong Kong transit directions setup. Not too sure where your hotel is located, but you should be able to plug in your destination and select fewer transfers to find the most optimal route. I was in HK for the first time last year and found the transport system worked fairly well. Make sure you also check out double decker trams, historic star ferry and the mid-levels escalator. It was very reasonably priced although doesn’t have a lot of other hotel services, but I just wanted a place to sleep. As some other commenters have mentioned, you don’t really transfer to the Aiport Express Line. Since ticketing and baggage handling are in the AEL stations themselves, they are really just remote airport terminals. AEL is an extension of the airport into the city, not the other way around. The original MTR lines have *excellent* transfers. When MTR merged with KCL things got mucked up a bit, relatively speaking, but HK’s dual-station transfers are still the gold standard as far as I’m concerned. Welcome to Hong Kong. I grew up in the city. 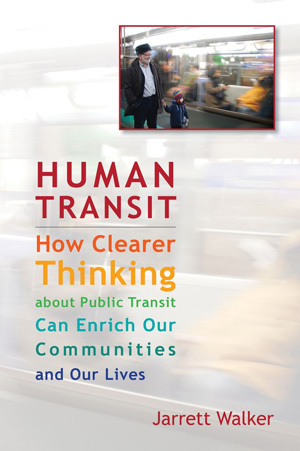 Your book on design for transit network make me see thing in a new light. What use to be convenient transit services now looks complex and crazy to me. A little bit about the geography of Hong Kong. Nearly half of the population and most of the business are concentrated in Hong Kong island and Kowloon. This is shown the south east quarter of the system diagram. The core area is very compact. It constitute maybe 5% of the total area of Hong Kong. The system is more like a spoke and hub system, taking people to Kowloon and then to Hong Kong island. To understand the system diagram better, it is help to apply the frequent network thinking here. Not all lines are equally important. Now dim all lines and look just at the backbone of the network that is the red TWL line. It connects Kowloon to Hong Kong. Next are KTL, ERL and ISL. They goes to Eastern Kowloon, New Territories and along the narrow strip of Hong Kong Island. The TWL, KTL and ISL lines are the original MTR network and they serve the core urban area very well. ERL is more of an unfortunately step child. Originally it is a separate company known as Kowloon Canton railway, which provides inter city service to China. As people increasingly settle in the once rural New Territories, it becomes a commuter line. What people from New Territories really want is to go to Hong Kong and Kowloon, i.e. where the red line goes. Right now it need 2 transfer to Kowloon it just don’t serve Hong Kong well. Right now it terminates in Hung Hom where massive amount of people transfer to bus to go to Hong Kong via a tunnel not shown on the map. I think the single most important project is to extend ERL to Hong Kong island. The rest are secondary or just spur lines. I believe TWL line is already at capacity. So WRL, AEL and TCL are new lines constructed on reclaimed land on West Kowloon. They run relatively infrequent and unfortunately have no easy connection to the older core lines. The AEL line is a specialized express line that serve only two locations, the Kowloon station and the Hong Kong station. The cliente are mainly jet setting exec and rich people who can afford brand new luxury apartment arose on top of the Kowloon station. Believe it or not there are enough of them to create a rail line for. I have not once find a use of it since it started running 10 years ago. And to clarify, the Kowloon station is in an isolated area not close to the real Kowloon around Tsim Sha Tsui and Mongkok station. There is no stop in Lai King. The thinking is probably that the old lines have no capacity for luggages. But why don’t they configure the TCL line to terminate in the airport so that people at least have a choice is beyond me. I think it is a huge waste of money to construct the airport railway for so limited use. So the answer to a part of your question is most people go to the airport by bus, which has direct service to many places including the area along the MOL line. The MTR is designed around the needs of the people, which is borne out in the easy way it is to transfer at various stations to other lines, even in different directions, simply by crossing the platform. The Airport express is geared more to business and tourism type transfers. This can be seen in the simple transfer to taxi at the station in Hong Kong. One simply has to walk across the platform. Others have mentioned the buses. I often take the A10 to Admiralty and change to a local bus there. I think a big problem would be taking baggage on the MTR. it’s usually pretty crowded. Also the crowds on the MTR are a deterrent to carrying luggage. First, as many others have said, the airport buses are really the way to go if your destination is not near one of the stops for the Airport Express Line. Second, I would not expect you to have any trouble finding a hotel for less than $300 a night. You might well be able to find a pleasant hotel for half that, depending on where you need to stay. The various hotel booking sites show more than 200 hotels with rooms available, the vast majority for less than $300. It’s probably best to stay close to whatever your destination is Hong Kong, as the weather will still be quite warm and muggy in mid-September, and getting around in the heat can be tiring. This is the single most useful transport-related reference I have been able to find for Hong Kong. While the individual route information in the back is in traditional Chinese characters, the maps, schematics, and tables are all bilingual English/Chinese and should be usable by an English-speaker, although the typeface is small. It’s also a window into the local design vernacular, as it’s reasonably similar to transport atlases I’ve picked up for Beijing, Shanghai, and Tokyo. I picked up a copy of the fifth edition–the newest at the time–at one of the bookstore/newsstands landside in Terminal Two the last time I was there, and it should also be easy to find at bookstores around Hong Kong. I also saw copies at Swindon Books in Kowloon, for example. It’s $55 Hong Kong, or about $7 US. Best of luck with your trip planning! Hope you have a great time in Hong Kong. If you have time also check out the Hong Kong planning and infrastructure exhibition gallery. It’s small, but had some cool exhibits on the growth and history of the city and some on the future planning. Certainly interesting from a transport perspective. I second the recommendation to check out the Hong Kong planning and infrastructure exhibition gallery. It’s pretty nifty. Hongkong management was really awesome because they provide very good public service and less corruption. That’s why they are one of the rich country. As a permanent citizen of Hong Kong, I know that people are willing to make three transfers just to get to work and back. This is because transferring in the MTR is really efficient most of the time (although crowded at rush hours). People normally never do four or five transfers as people will never live so far away from work. This is why buses and mini-buses exist because the MTR is simply too inefficient or impossible to reach some destinations. Therefore a person from the airport would not take the MTR to almost anywhere in the New Territories as it often takes too long and/or is too complicated and take AirBuses instead which are buses that specifically service from faraway destinations to city centres to everywhere in between via two transfers (most of the time). Home › Hong Kong › Information Requests › Rail Transit › hong kong metro: five transfers? ?